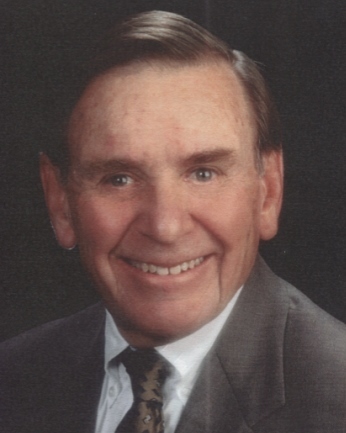 Bob McGuire, a native of Canton, OH, proud graduate of the College of Wooster and New York Medical College, and former Medical Officer in the United States Navy passed away peacefully after an extended illness on April 10th. Known for his compassionate bedside manner, mischievous grin, dry sense of humor, and habitual tardiness, Bob moved to Fort Lauderdale from New York City in 1973 to practice General Surgery. He was the former Chief of Surgery at Plantation General Hospital and was also affiliated with Westside Regional Medical Center and University Community Hospital. Bob was an Honorary Life Member and Past President of the Florida Division of the American Cancer Society, Honorary Life Member and Past President of the Broward American Cancer Society Unit, and Chair of the Colo-rectal Cancer Task Force of the Florida Division of the American Cancer Society. Furthermore, he served as a Trustee of the Rumbaugh-Goodwin Institute for Cancer Research and George C. Dodge Foundation and was a Member of the Pine Crest School Advisory Board and the Royal Knights of Chivalry. The happiest and most fulfilling moments for Bob were when he was caring for patients, being of service to the community, and enjoying the company of his family. He cherished his role as a father and grandfather and exceptionally passed on his parents’ values of integrity, an honest day’s work, and personal accountability. Bob is survived by his wife, Dr. Nell Lewis McGuire, son and daughter-in-law, Andy and Mariana of Atlanta, GA, daughter and son-in-law, Carrie and Jason Lee of Loudon County, Virginia, grandchildren, Miguel, Tiago, Amelia, and Keira, brother and sister-in-law, Jim and Joan of Brownstown, MI, sister and brother-in-law Rozella and Ron Orosz of Belle Center, OH, and step-daughters, Rita Parke, Teresa Ace, and Angie Roberts, and their families. He was predeceased by his wife, Marilyn, and brother, Kenny. In lieu of flowers, donations may be made in Bob’s memory to Rumbaugh-Goodwin Institute for Cancer Research at Nova Southeastern University at www.nova.edu/giving, choose “research” or NSU PO Box 2217, Fort Lauderdale, FL 33303. A memorial service will be held on Saturday, April 13th, at 11:00am at First Presbyterian Church located at 401 SE 15th Ave Fort Lauderdale, FL.